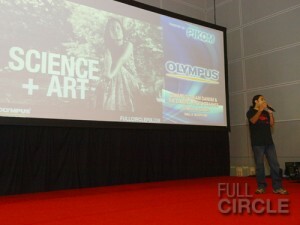 More talks by Full Circle! 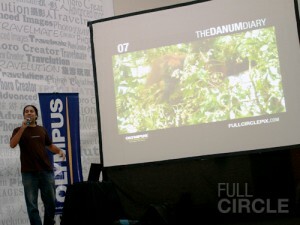 At the recent KLPF (29th October 2010) and Pikom PC Fair (15th December 2010) , Sanjit presented his talk in regards to his photographic journey through Danum Valley using the Olympus E3 DSLR camera. He took a 10 day trip there with one quest, to photograph a wild Orang Utan. He had great expectations of his Orang Utan photo, a primate swinging through the trees, full of expression and antics. A real National Geographic moment shot. 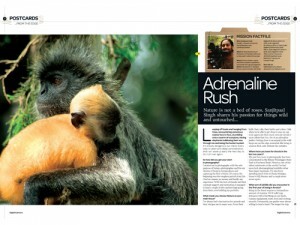 During his trip, Sanjit managed to capture some great images of the endemic primates, such as the Red Leaf monkeys. Days went by and only towards the last day, Sanjit finally managed to capture a picture of an Orang Utan….. fast asleep on a tree! 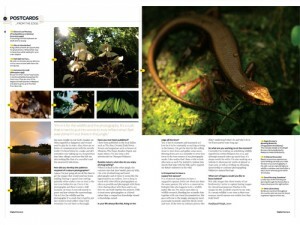 A magazine recently interview Sanjit about his passion for wildlife photography. The article is here for your perusal!